Everyone wants to see what they want to see. What they want to happen should happen, in their opinion. But, that never really happens, unless there is a way where everyone’s preferences can be addressed. In the book The Invention of Hugo Cabret, by Brian Selznick, the interpretive drawings make it possible for anyone to believe what they want to believe just happened. They can imagine a movie in their mind, generated by the some 160 pictures. The reader gets to choose whether the Hugo and Isabelle fall in love, and to decide what the characters are thinking by their facial expressions in the drawings. I loved this book, especially how you could interpret the drawings for yourself and try to find out what the drawings were depicting. When I went to see the movie, directed by Martin Scorsese, I was really excited, but when I walked out of the theater, I was thoroughly disappointed. I had not seen what I had wanted to see. When I picked up The Invention of Hugo Cabret, by Brian Selznick, from the library so many years ago, I could never have guessed that it would become a major motion picture. I expected Scorsese’s film to be just like the book. But book-based movies are never as good as the original. Everytime a part passed by that I had been looking forward to see based on the book, I was disappointed. My heart sank so low by the end of the movie that it was touching the floor. It was just like when I read the book The Lightning Thief by Rick Riordan and went to see the movie. That was really disappointing, too. The only thing that I learned during that movie is how far producers will go to make an audience laugh. I wish that producers in the future will see how much readers like me count on the movie to be like the book. We want to see other people’s interpretations of the book. That is what I was looking forward to seeing in the movie of The Invention of Hugo Cabret. All they could show me was fake relationships and mushy romances, skipping right over the real meaning 0f the entire novel. Sometimes you don’t get what you want. You get disappointed. I was entirely happy when I read The Invention of Hugo Cabret by Brian Selznick, but really disappointed by the movie version. The book was filled with interpretive pictures that made the book what you wanted. The characters were happy or worried, if you thought they looked like that. You got to decide. 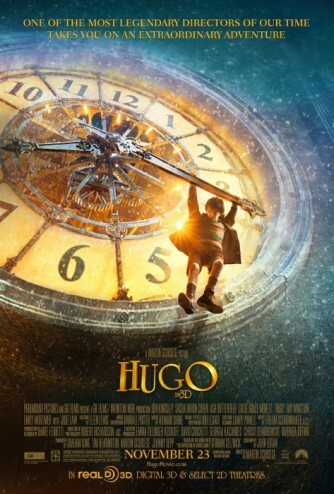 But all the producers of the movie could do was change the title to make it shorter, and take the spotlight off of Hugo; not my idea of a good time.